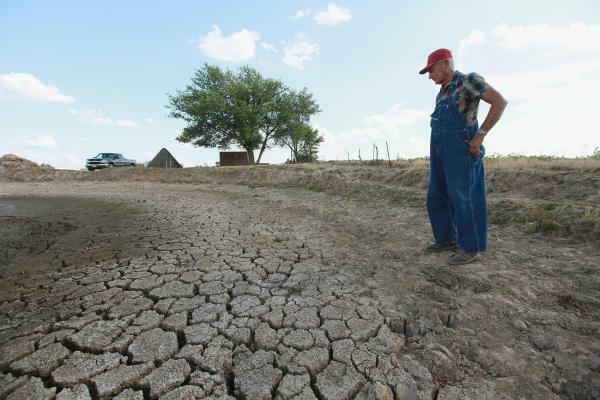 The Article: More Heat, Drought and Floods in 2013 by Christa Marshall in The Scientific American. The Text: Global average temperatures in June were the fifth highest on record, as above-average heat conditions continued a multidecade streak, the National Oceanic and Atmospheric Administration reported yesterday. June marked the 340th consecutive month — a span of time more than 28 years — that global temperatures surged above the 20th century average, according to the agency. “The last below-average June temperature was June 1976 and the last below-average temperature for any month was February 1985,” NOAA said in a release. At the same time, it is too early to determine whether the stifling heat wave bringing misery to much of the eastern United States for the past week is unusual. “This heat wave is still unfolding, so it’s kind of hard for us to put it into a perspective of past heat waves,” said Jake Crouch, a climatologist at NOAA’s National Climatic Data Center. A study authored by NOAA scientist Thomas Peterson last month reported that heat waves became more frequent in the United States in recent decades, but there are decadal variations. When the entire temperature record is considered, the 1930s had the largest number of heat waves, Peterson said yesterday. There was some weather relief in June. For example, the region east of the Mississippi River became drought free for the first time since 2005, according to the Drought Monitor. Spain also experienced its coolest June since 1997. Neither El Niño nor La Niña conditions were present during June and are unlikely to appear through the fall, the agency said. El Niño and La Niña — which occur when the equatorial Pacific Ocean reaches above- or below-average temperatures — are linked to many extreme weather events. But a lot of the weather tale involved a string of stifling heat conditions, drought and flooding. The first half of the year, from January to June, tied with 2003 as the seventh warmest on record globally, NOAA said. In June, Japan was as much as 1.4 degrees Celsius warmer than the 1981-2010 period, while north-central Canada, northern Siberia, north-central Australia and much of Eastern Europe also witnessed higher-than-average temperatures. The United States was “warmer and wetter” than normal in June with monthly temperatures sitting 2 degrees Farenheit above average, NOAA said. Scorching heat appeared across the West, including via near-records in Arizona, California, Colorado, New Mexico, Nevada and Utah. “Alaska had its third warmest June on record with a temperature 4 degrees above average,” Crouch said. Additionally, NOAA said there is a likelihood that a huge swath of the United States stretching from Louisiana to the western Canadian border could experience above-average temperatures through October. That is also true in northern Alaska via a dynamic partially attributable to diminishing Arctic ice in recent years, said Dan Collins, seasonal forecaster at NOAA’s Climate Prediction Center. The average Arctic sea ice extent in June was about 2.6 percent below the 1981-2010 average, according to the National Snow and Ice Data Center. Meanwhile, precipitation patterns varied widely around the globe last month. In the United States, the general trend in both June and the first half of the year was a wetter-than-average eastern United States and Midwest, and an unusually dry West. California witnessed record dry conditions in the January-June period, with 31 percent of its average precipitation, NOAA said. Wildfires burned more than 1 million acres in the West with hundreds of homes destroyed in Colorado. Overall, 46.1 percent of the contiguous United States remains in drought, despite the new drought-free state east of the Mississippi River. The southeastern United States also became drought free for the first time since 2010, said Chris Fuhrmann, regional climatologist at the Southeast Regional Climate Center. “The footprint of the drought has changed little over the last month, but the places that are receiving drought have mostly experienced intensifying drought, including parts of the Southwest and into the Great Basin,” Crouch said. Meanwhile, Iowa, Illinois, Michigan and Wisconsin were record wet in the first half of the year, while Delaware and New Jersey reached that milestone in June. There were flooding problems in swaths of the Southeast, where there was significant crop damage, and places like Chapel Hill, N.C., experienced deluges that damaged buildings, according to Fuhrmann. Internationally, the monsoon season caused significant damage and loss of life in India, Crouch said. Parts of New Zealand also got two to four times their average rainfall. On the other end of the spectrum, the Marshall Islands “are facing dire circumstances in terms of their water resources” after being unusually dry for much of 2013, said Crouch. In May, the island government declared a state of disaster, saying about 5,000 people were in direct peril (ClimateWire, May 10). “June did bring a little bit of a reprieve to that location, but they are still facing significant drought impacts,” said Crouch.